The community of Brighton is set to become an incorporated township in 2020. Big Cottonwood Canyon’s early settlers were miners looking to make a fortune. Today’s residents call it home because of the canyon’s rich abundance of lush forest, waterfalls and mountain lakes. 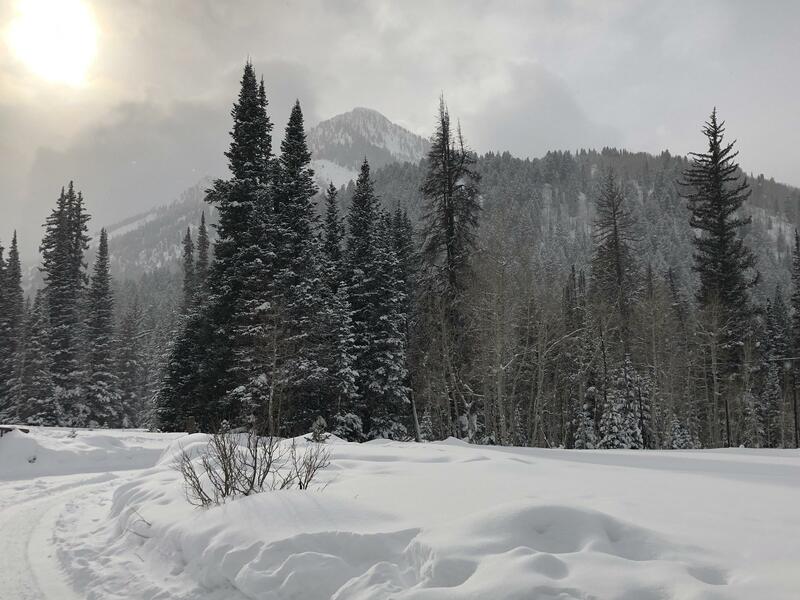 Reynolds Flat is a popular destination in Big Cottonwood Canyon for backcountry skiing, sledding and walks. Next year, it will be including in the boundaries for the new town of Brighton. Now, the tiny community of Brighton, pop. 260, is moving toward freeing itself from Salt Lake County after residents voted —105 to 63 — to incorporate in November. “We’ve been around as a community since about 1870 so it's only taken us 150 years to get here,” said Barbara Cameron, one of the town’s sponsors who signed a petition to put the incorporation question to the voters. But big questions remain on how the state’s newest resort town will provide government and other public services and fund itself. The uncertainty has one environmental group and a ski resort feeling uneasy. This map shows the boundaries of the new town of Brighton. In 2020, about 10,200 acres of upper reaches of the canyon will become the new town of Brighton, with a mayor, town council and other elements of government. Brighton and Solitude ski resorts are also included in the town’s boundaries. That means Brighton residents have a year to figure out how the town will sustain itself as the incorporation moves forward. Residents also need to decide how the town will provide public safety services like fire and police to its community, a responsibility that currently falls on the county. 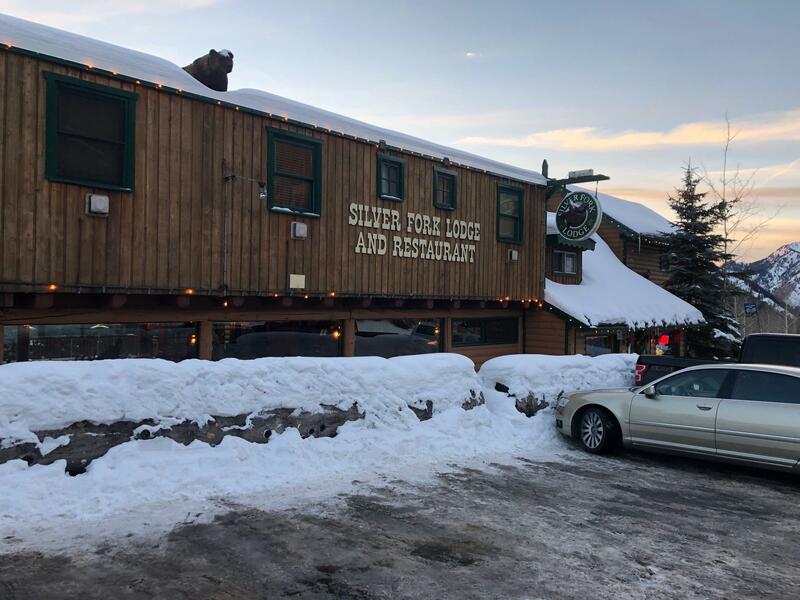 As an unofficial city hall and community meeting spot in Big Cottonwood Canyon, The Silver Fork Lodge and Restaurant has witnessed Brighton’s transformation in the 71 years it’s been in business. The restaurant’s owner, Dan Knopp, is considered the town’s unofficial mayor. The Silver Fork Lodge and Restaurant is located near Solitude and Brighton ski resorts in Big Cottonwood Canyon. It's been in business for 71 years. His restaurant has served up more than just its signature sourdough pancakes to tourists and townspeople— it served as the spot where many discussions about the incorporation were held before the vote. “We don’t all agree on everything, but we can sit down and talk about it as neighbors and we can come to an agreement,” Knopp said on a recent Friday afternoon at the Silver Fork. Carolyn Keigley, 69, supported incorporation and becoming a town. She is also a descendent of the Brighton family that settled Big Cottonwood Canyon, she said. Ten years ago, she decided to leave Truckee, Calif., near Lake Tahoe, because of that town’s growing trash and traffic woes. Aside from her family history in the canyon, she said she moved to Brighton because of its wilderness and because it remained under-development. But now, she said she feels the elements that made her leave Truckee have followed her. “It’s been sad to see the increased amount of trash, no bathrooms during the fall shoulders for people to use and just massive traffic problems that we have,” Keigley said. Barbara Cameron, 71, and her husband, Bob, said that for years, residents have asked Salt Lake County and other government entities to address those issues, but they feel like their voices haven’t been heard. From left, Bart Reuling, Bob Cameron, Barbara Cameron, Dan Knopp and Don Despain. The Brighton residents supported the incorporation. 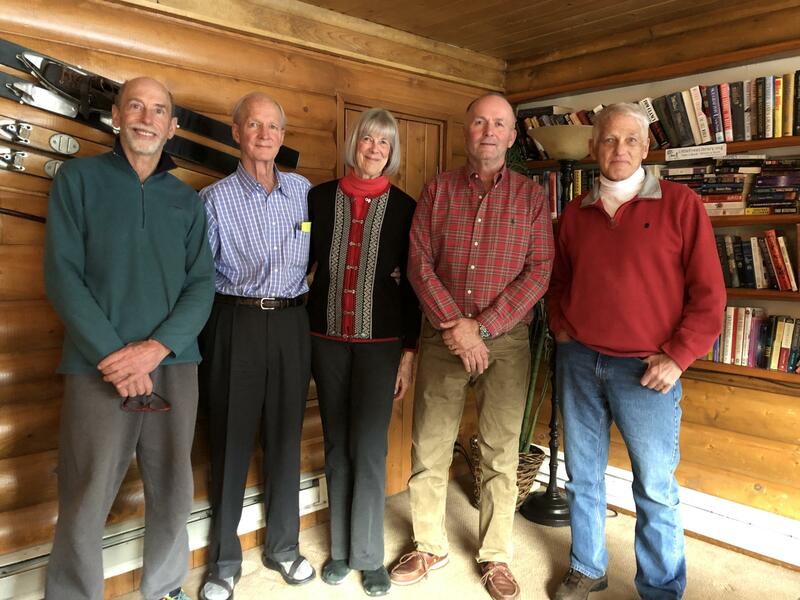 They spoke about Brighton's incorporation and their hopes for the future in January at the Silver Fork Lodge and Restaurant. The Brighton community has attempted to incorporate at least three other times, Barbara Cameron said. What made the difference this time around was the residents’ desire to represent themselves, Bob Cameron said. Freedom, But At What Cost? Brighton isn’t alone in breaking free from Salt Lake County. As the Beehive state continues to grow, more unincorporated communities in Salt Lake County have chosen to form their own government, said Rick Graham, the deputy mayor of operations for Salt Lake County. Millcreek became the county’s 17th municipality in 2017. Magna, Kerns, White City, Emigration Canyon and Copperton chose to become metro townships in recent years. Unlike other forms of local governments, metro townships must get their municipal services performed by contract, or through participation in a local district. By becoming a municipality, Brighton will get a real seat and a vote on boards such as the Central Wasatch Committee and Greater Salt Lake Municipal Services District. Right now, Brighton residents are invited to attend the meetings and provide their inputs, but they have no authority, Bob Cameron said. But Brighton’s township comes with a cost. Salt Lake County currently pays an estimated $2.5 million for fire, police and other public safety services in Big Cottonwood Canyon. Once Brighton officially becomes a town, the county will not be able to continue providing that funding, according to the Salt Lake County District Attorney’s Office in response to an October 2018 feasibility study on Brighton’s proposed incorporation. “Currently, the law permitting the county to use general fund money for public safety in the canyons expressly limits the use of those funds to services only to areas, ‘outside the limits of cities and towns,’” the district attorney’s office said in its response. The feasibility study outlines three possible options the town can take to get those services. Knopp said he and other community leaders are currently trying to negotiate a deal with the county. “They’ve come back to us and offered if we will do a few things, they’ll continue to keep that funding in place,” Knopp said. Ideas for town funding include raising the sales tax and the transient room tax on temporary lodging options, the sponsors said. Knopp and the other sponsors hope that the property tax can remain the same. The town’s primary economic drivers, then, will be Solitude and Brighton ski resorts. That worries Kim Mayhew, the general manager of Solitude. “We are like farmers. We are totally dependent on Mother Nature for our bread and butter and if we were to have a couple of years of drought, the town would fail,” Mayhew said. Brighton and Solitude ski resorts had originally asked Lt. Gov. Spencer Cox to be excluded from the town’s boundaries. Their requests were denied. “There are a lot of unknowns and, hopefully, we’ve got enough time to solve a lot of those,” Mayhew said. 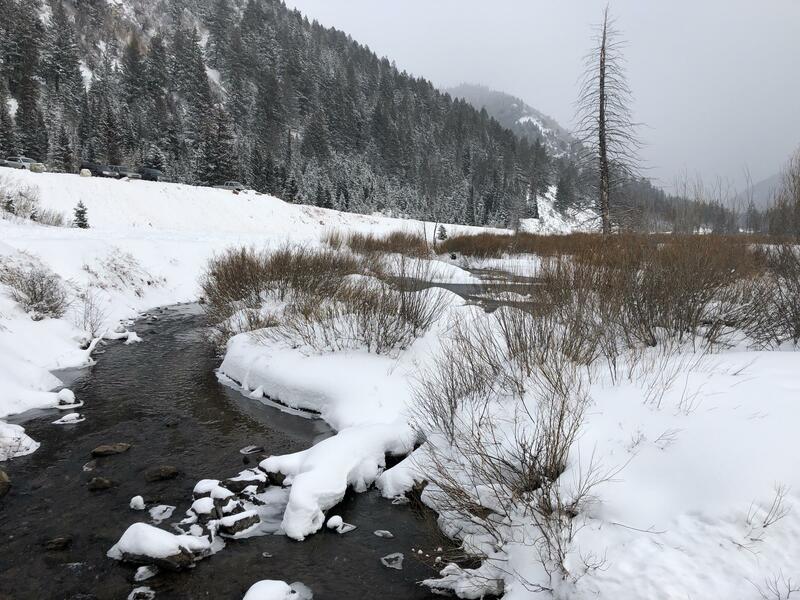 Given all the remaining questions, Carl Fisher said it troubles him that about 100 pro-incorporation voters have decided to shake the fate of Big Cottonwood Canyon, a protected watershed that supplies water to the valley below. Fisher, the executive director of Save Our Canyons, an environmental group that spoke out against the push to incorporate, said he fears Brighton will rely on economic development if the town needs more money to sustain itself in the future. Big Cottonwood Creek runs through Big Cottonwood Canyon. The canyon is a watershed that supplies water to the Wasatch Front. “Their desire to incorporate suggests that there will be more stuff up here which our organization tends to believe that takes away from the naturalness of the area,” he said. Knopp rejects that idea. He said that he and other community leaders are also anti-development. He adds that would be hard to do even if they wanted to. In Little Cottonwood Canyon, Big Cottonwood Canyon’s neighbor to the south, there is also an effort to explore more development. The Alta Ski Lifts Company, which operates Alta Ski Area, may move forward with plans for a lift in the Grizzly Gulch backcountry ski area. 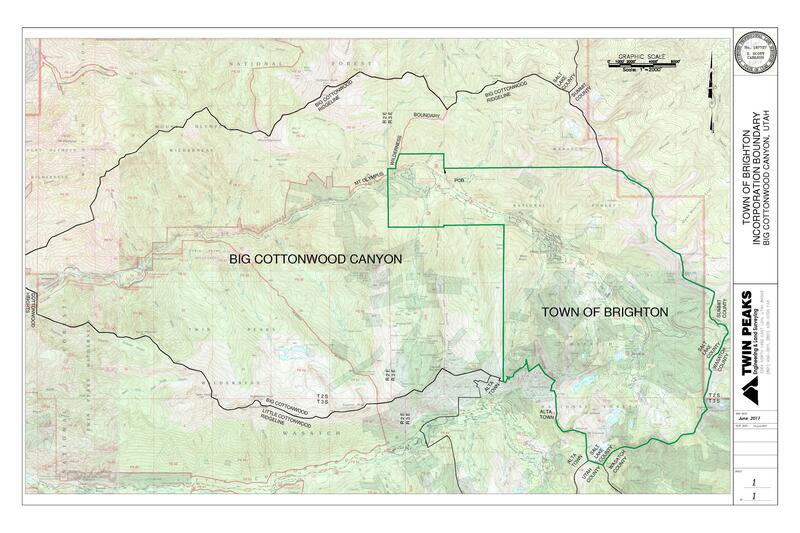 Big Cottonwood Canyon’s ski resorts could have an impact on the town’s future. Don Despain, another incorporation supporter, points out that Solitude and Brighton have already been bought up by big companies outside of Utah. “They sometimes bring in more visitors, but their money goes out of state and they don’t really invest it into the state, but certainly not into our town,” Despain said. Creating partnerships with the resorts will be an important step for the new town, Despain said. Knoop predicts that it will take Brighton a year or two to get adjusted, but he is confident about its future. “We just want to take care of our own little part of the world and do a good job at it,” Knopp said. Brighton residents will vote for their first mayor and four town council members this November. Fourteen residents — or 5 percent of the town — are running for an office. Despain and Knopp are among the four mayoral candidates while Keigley is running for a council seat. Correction 1/17/19 4:25 p.m.: A previous version of this story stated that Barbara Cameron was a town sponsor of the incorporation. She is the president of the Big Cottonwood Canyon Community Council. The only town sponsors interviewed in this story are Carolyn Keigley and Bob Cameron. The others interviewed are community leaders and longtime residents. Following Tuesday’s election, Millcreek is on a path to becoming a city. Meanwhile five other unincorporated communities will become so-called “Metro Townships”.